In a previous post, I shared a recess rubric for students on the autism spectrum. Here is one that may be helpful for students with a learning disability, especially twice exceptional (2e) kiddos. These kids are often desperate to get out of the classroom, away from tremendous stress (and boredom, in the case of 2e kids). Why would LD kids benefit from a recess rubric? Again, stress. They often feel stupid and invalidated in a classroom, no matter how smart they may be, no matter how supportive their teachers are. When they hit the playground, these students are often over-eager to show off athletic skills. They may vent their frustration on peers or withdraw from the group altogether. Social skills intervention is helpful when LD students find themselves in constant conflict at recess. Remember that you cannot toss a rubric at a student and expect it to “work.” Kids need to rehearse needed skills and rubrics should be modified to match individual needs. A rubric can be used to measure progress over time, which is very important for kids who face an uphill battle with academics. In an earlier post, I described the benefits of using science and social studies content to develop leadership in our twice exceptional and high-functioning autistic students. 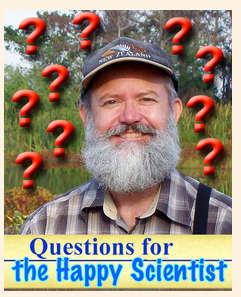 If your child/student has special interests in science, let me refer you to The Happy Scientist website. Robert Krampf is the brains behind this wonderful site. He’s a smart, funny, and down-to-earth teacher who uses videos and photographs for sharing science in a range of topics: life science, earth science, physical science, chemical science, space science, and the process of science. 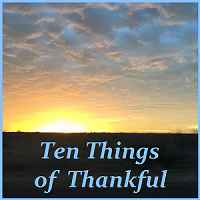 With over 200 videos and about a 1,000 photographs (accompanied by puzzlers), this site is very user-friendly for our kiddos who learn by watching and doing. Krampf is a good role model for our budding science leaders. The Happy Scientist keeps a blog, along with opportunities for questions on everything posted- and more. His videos often end with bloopers, which are hilarious. Yes, his site has standards and units of study, but I see this as an opportunity to model what we hope our kids can do as “mentors” in their small groups. For example, the videos provide opportunities for kids to learn a clever way of presenting topics. One video asks students to think of ways to reduce the speed of a ping pong ball in motion. Our student presenter can model some strategies and then let the group try their hand at it. Another idea for developing leadership abilities is the creation of a digital portfolio of experiments. If the student is uncomfortable with live presentations, what about making use of recorded ones? In this era of technology, kids could share their expertise with classrooms, scout meetings, or science clubs quite easily. Even if the videos are strictly for home use, they will certainly be confidence boosters. For those kids who MUST be perfect, Krampf’s video outtakes illustrate the fun of errors. Many of our autistic kids are quite adept at drama and might want to add the flair of “space suits” or other props, just as Krampf does. Some kids would also enjoy an online dialog with The Happy Scientist’s website. Bottom line: We must be proactive, pushing back the negative feedback these kids have often suffered at school. Take advantage of your child’s strengths/interests while helping them SEE how smart and capable they are.